Up until now, the marketing campaign leading up to Watch Dogs has focused primarily on its features and technology. 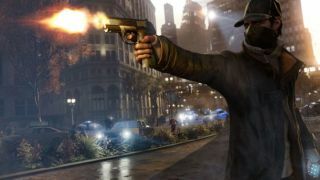 If you're looking for more info on that kind of thing, Tyler got to play Watch Dogs for a few hours last month, and you should read and watch his hands-on impressions. He came away surprised at how much he liked the main character, Aiden Pearce. But there are more people to meet in Chicago, as Ubisoft's newest trailer shows. The gravelly-voiced Aiden Pearce is a master hacker that moves outside the system, and he'll only hang out with you if you're equally or cooler than him. Case in point: Clara Lille, a suspected DedSec hacktivist. She has a neck tattoo, a mohawk, and piercings. She's also the best hacker Pearce knows, so she's pretty cool. “T-Bone” Grady, who's still rocking dreadlocks at 52, is also cool enough by virtue of his nickname alone, and the fact that he likes to blow stuff up. I'm personally partial to Jordi Chin, a fixer we saw quite a bit of during the Watch Dogs preview event. Like the rest of the crew, he's pretty silly and over-the-top, but he's well-written and voiced, as are the other characters, which is what matters most. Watch Dogs is out on May 27.